Yes its Dim Sum for me and my gf on a weekend morning again. 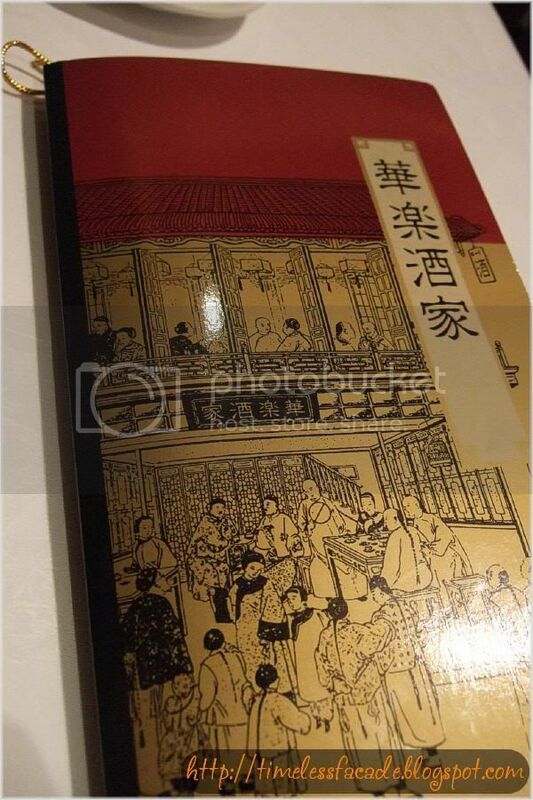 This time round, the venue of choice was Wah Lok. 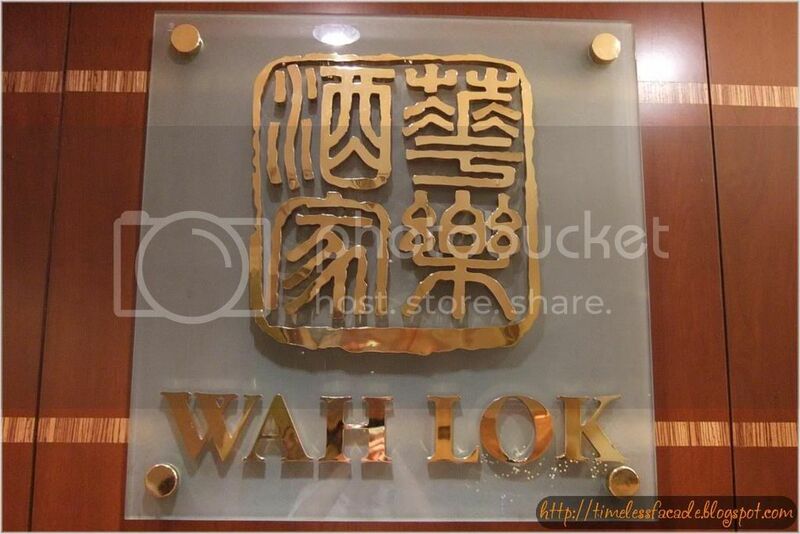 Known for its exquisite Dim Sum offerings and excellent Cantonese food, Wah Lok sits on the second floor of Carlton Hotel. 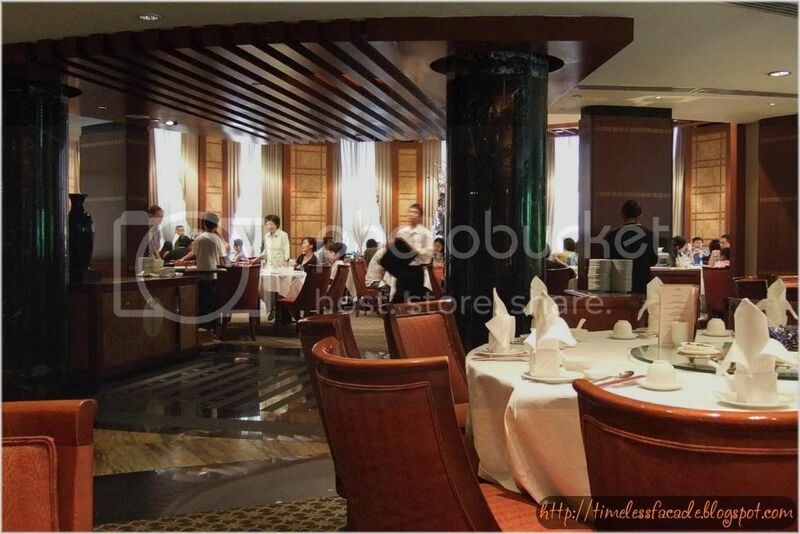 Wood, like in many other mainstream Chinese restaurants, plays a main role in bringing out the understated opulence of the interior, especially that of the main dining hall. One can't help but feel very at home in this subtly lavish yet comfortable layout. Ok enough of the place itself. The highlight is supposed to be on the food. The Appetizer of BBQ Pork, Salted Vegetables, Chilli and Sesame Seeds was something that I've honestly never tried before. And it was good. The BBQ pork was sweet while the salted vegetables were salty, naturally. This balanced things out really well and the sesame seeds gave it a nice fragrance while the mild chilli spiced things up a little. The Steamed Carrot Cake was a great dish to start off with. The carrot cake came piping hot in a small glass bowl and was very smooth without coming across as too soft and mashed up. 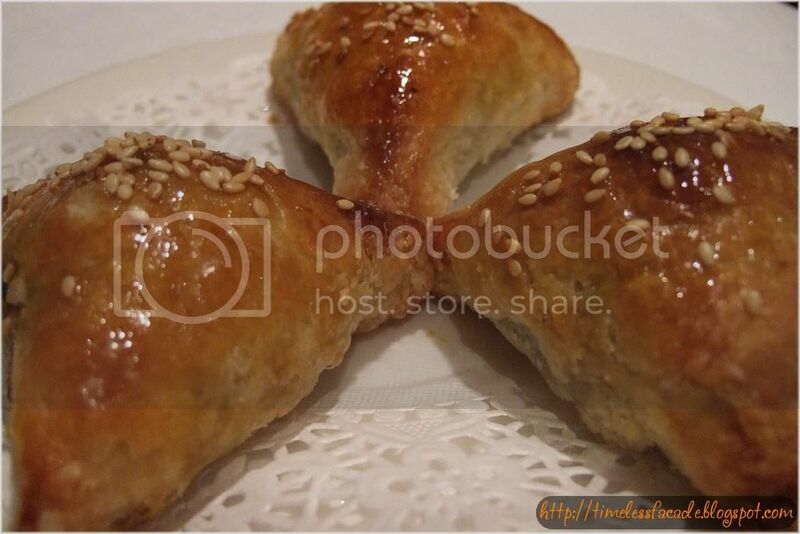 I've always been a fan of BBQ Pork Pastry, or better known as Char Siew Sou, so it's no surprise that this dish was in our order list. 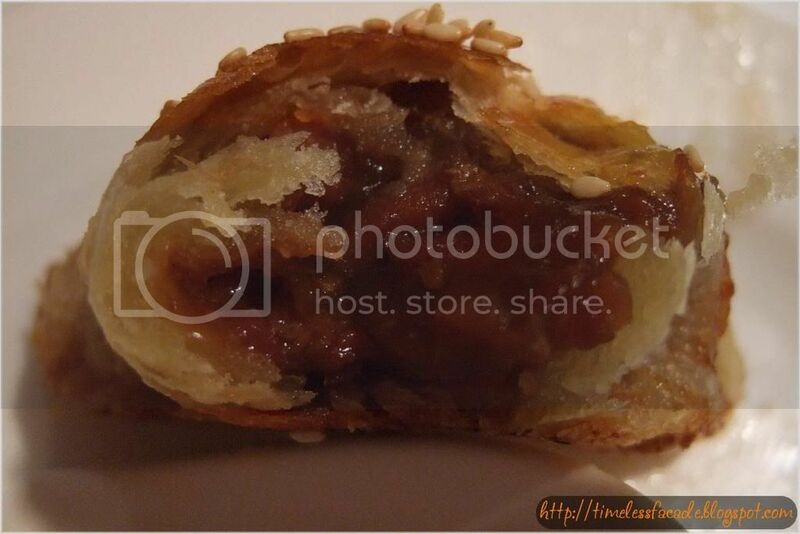 The BBQ Pork Pastry was quite well done with the pastry being flaky and a little sweet from the exterior glazing. The BBQ Pork filling was held together by a semi thick and sweet gravy, which is very unlike most of the Dim Sum places I've tried that only wraps the meat without any gravy. However, the pork itself lacked the barbequed taste - a flaw that could make or break this dish. But all in all, still an above average eat. 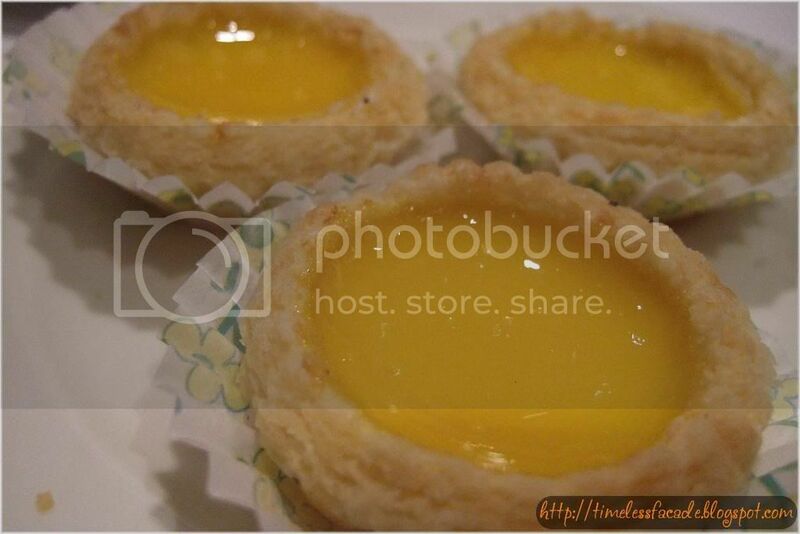 The Baked Egg Tart came across as pretty normal in terms of taste and texture. There was no slightly burnt crust taste which I like, but the egg filling was not too sweet, which was a plus. Other than that, just an average egg tart. 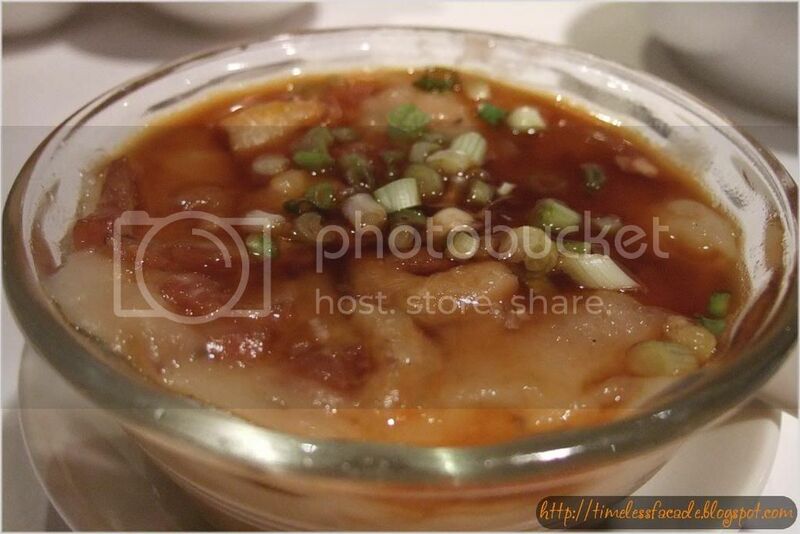 Now this dish came recommended by our server and it proved to be excellent. 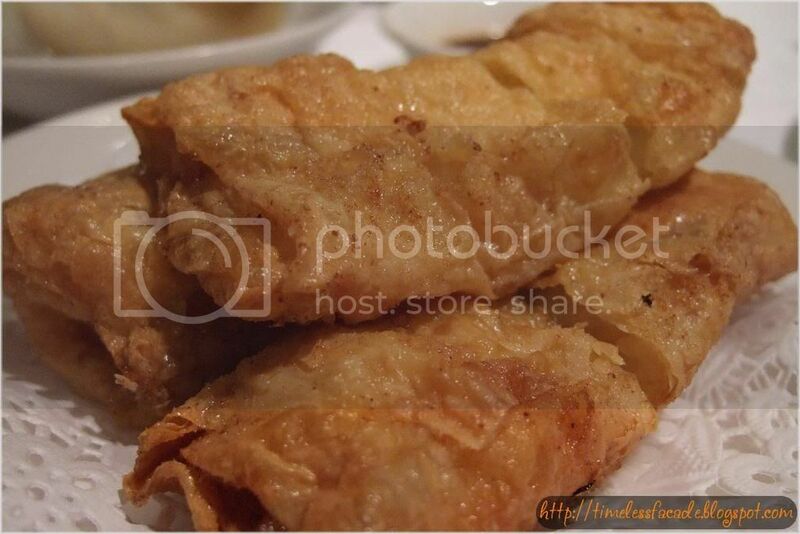 The fried beancurd skin was brittlely(If there's such a word) crispy with fillings of prawns and some vegetables. Dip it in the accompanying premium grade soya sauce and you get a match made it heaven. The soya sauce gives it the salty yet zesty flavour. And I'm not kidding about the premium soya sauce label. It really is of premium grade. 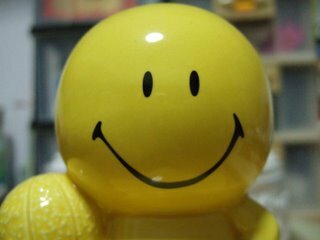 Try it and you'll know what I mean. 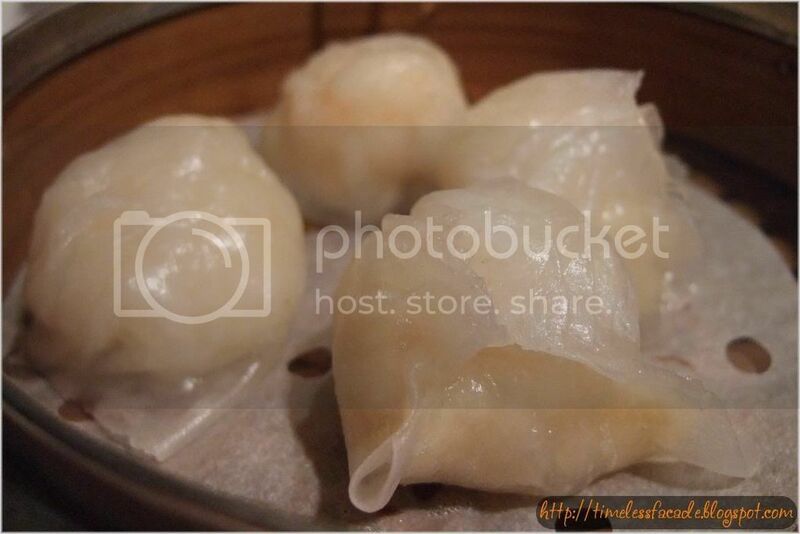 Steamed prawn dumplings or better known as Har Gao is one of the de facto dishes of Dim Sum literally. 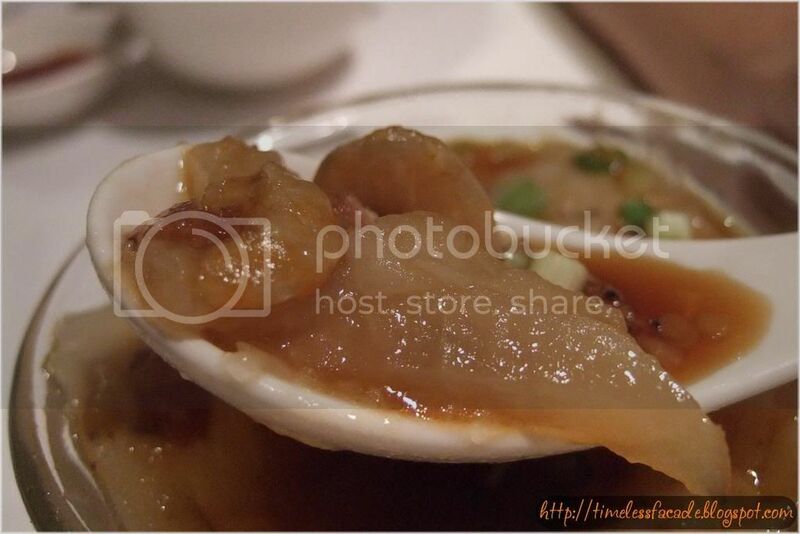 Wah Lok's rendition tasted quite fine, with the shrimps evidently fresh. 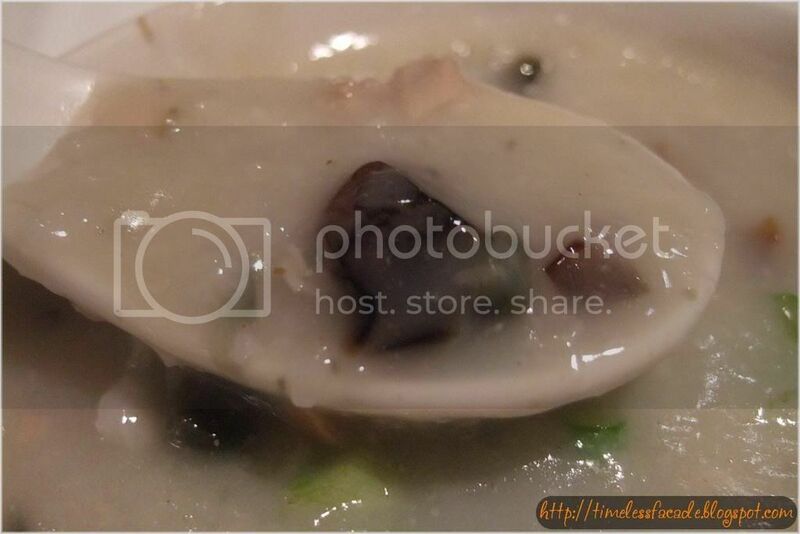 The skin was also relatively thin and moist. 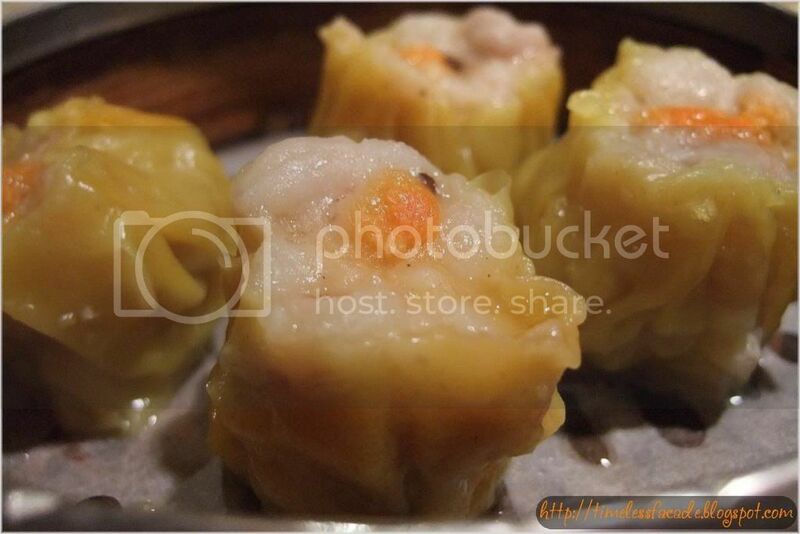 Like the Steamed prawn dumplings, the Steamed pork dumplings aka Siu Mai, are also another de facto dish of Dim Sum. I found this rather normal, but it didn't come across as too heavy on the palate, which was a change from the nausea inducing ones that I often eat. Can you spot the shark's fin? This was the most expensive dish we ordered ($7.80 per serving) but it was well worth the money. The shark's fin soup was light and sweet and came with a few strands of inferior quality shark's fin(hey its $7.80, what do you expect?). 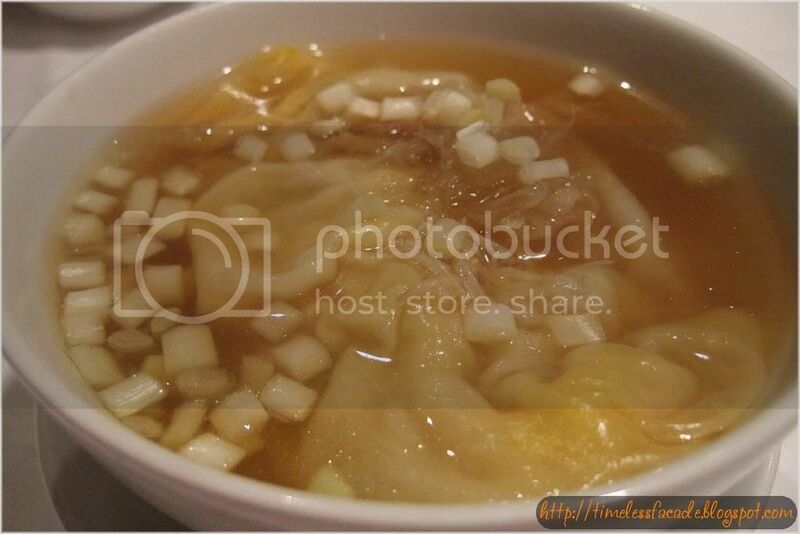 I did find the dumpling's skin a little too soft though, probably from soaking in the soup for too long. 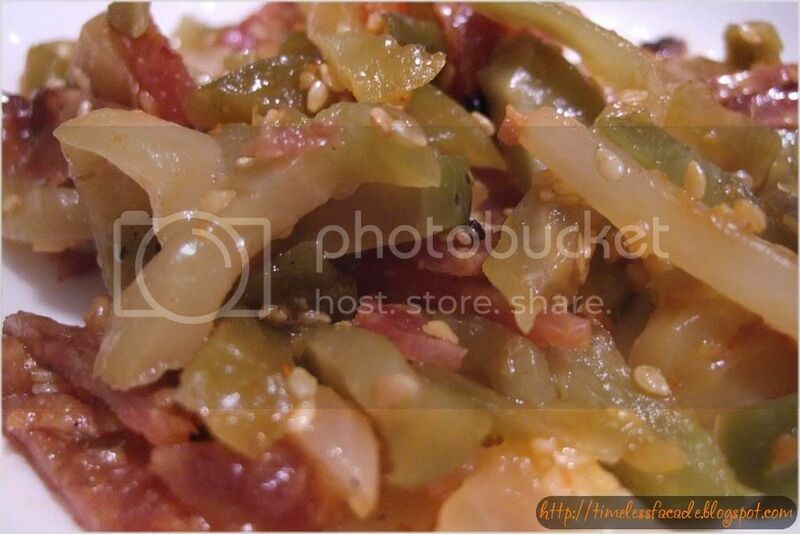 This is my gf's favourite dish and although I'm no fan of it, I did find it quite good. The porridge was not too starchy neither was it too watery. 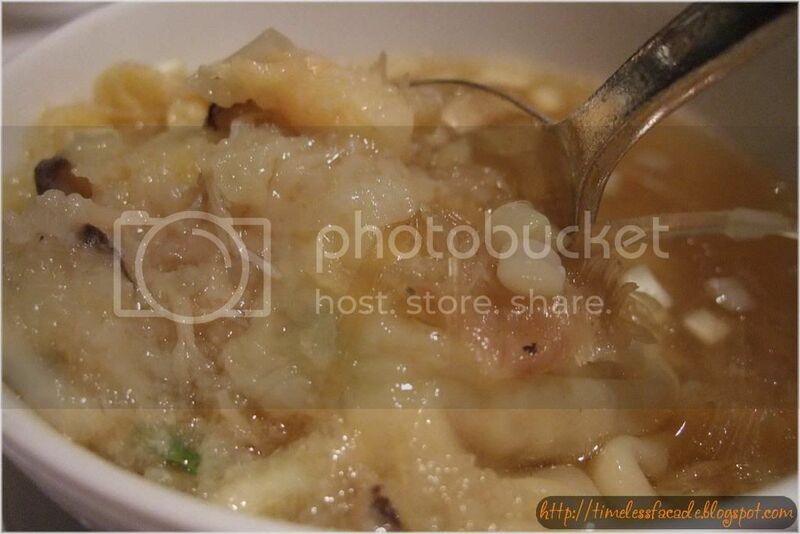 I can't quite describe the taste because I honestly know nuts to nothing about Century Egg Porridge. This is one rare dessert. I can't really tell you where to find this delicacy anymore. Wah Lok's rendition is different from all the others that I've tried. 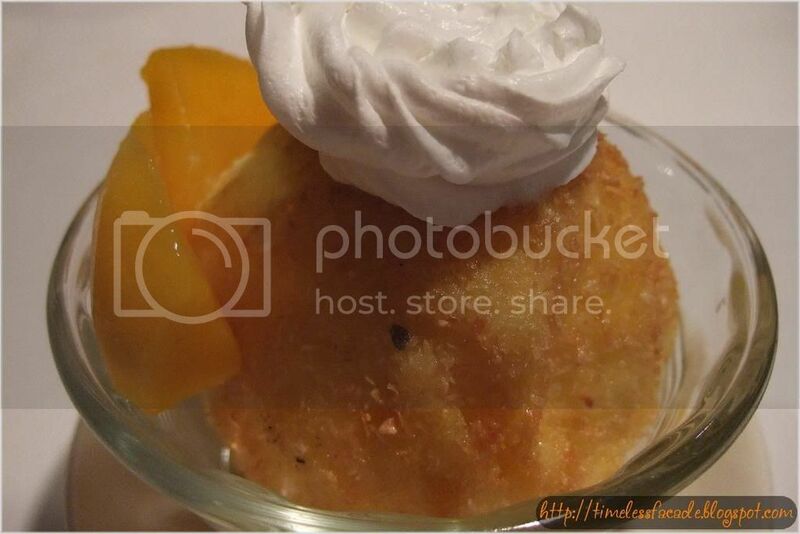 Here, the Mango Ice Cream is coated with a layer of Coconut shreds and flour before deep frying. 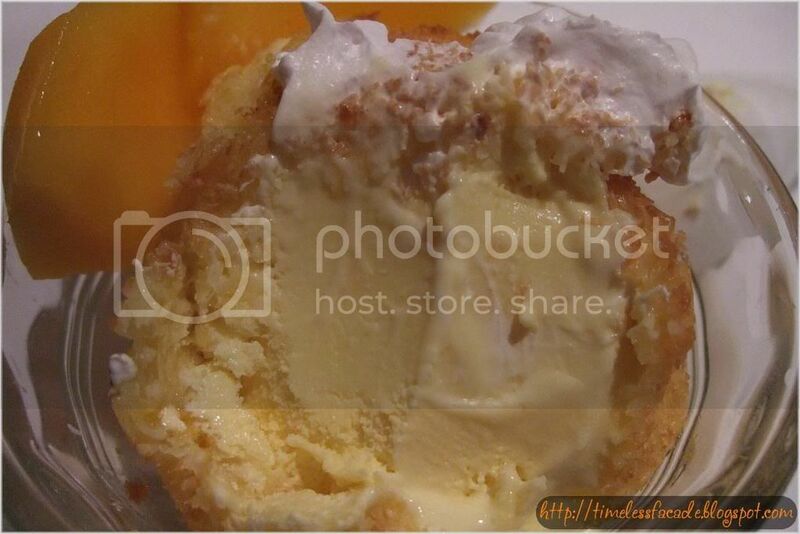 The result is a crispy Coconut exterior encompassing a rather pleasant Mango Ice Cream. Quite good! 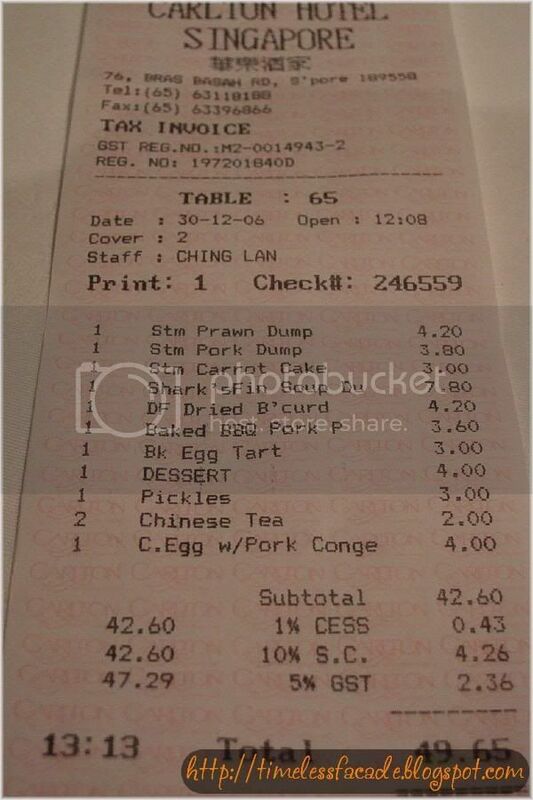 Total damage for 2 pax stood at $49.65, reasonable considering the quality of food. But portions are a tad dainty so you might need to order more if you are a big eater or if you have a particular craving for something. 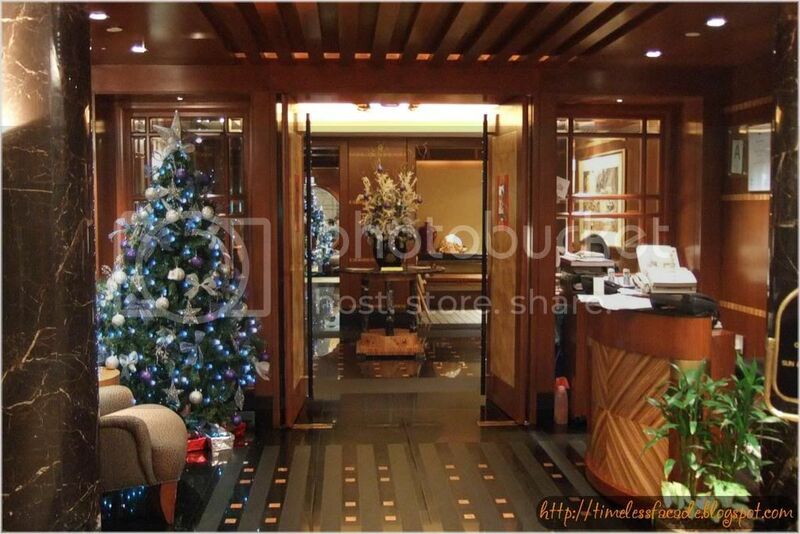 Service is good, ambience is great and so is the food. This is definitely a place that I'll be coming back to frequently for Dim Sum.